Our dynamic team is on hand every day to welcome you to a warm and friendly atmosphere! 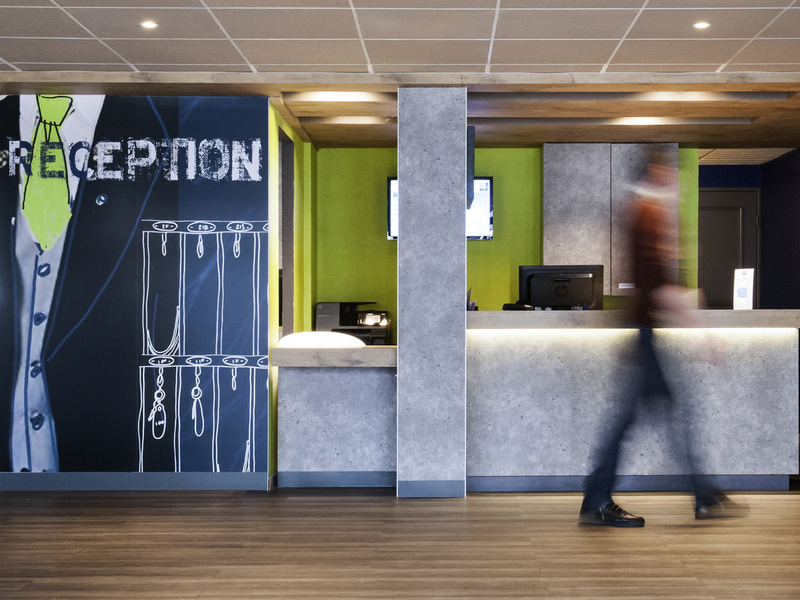 The ibis budget Goussainville CDG is ideally located near Roissy-Charles-De-Gaulle airport, the Villepinte exhibition center, Bourget, the Stade de France and Astérix theme park with direct access to Paris via the RER D metro. The hotel has 75 air-conditioned rooms, including 3 for guests with reduced mobility and 6 family rooms. Free indoor car park for guests. Our hotel is 30 mins from Disneyland Paris and 20 mins from Paris by car. There is a large choice of restaurants and shops close to CDG by bus.